Support community development beyond hockey, focusing on education, social, economic and infrastructural needs of the communities we serve. We harness the lessons of hockey to empower youth and foster international understanding and cooperation. While we are passionate about each and every aspect of our mission, and love making an impact on the lives of the players on the ice, the community development component of our mission is core to our desire to change lives…hockey is just the entry in to the community. A few years ago we came in to contact with the folks from ILSC, in particular, Jason Flaming, who was then-director of the Delhi campus of the fantastic language school founded in Vancouver, British Columbia. 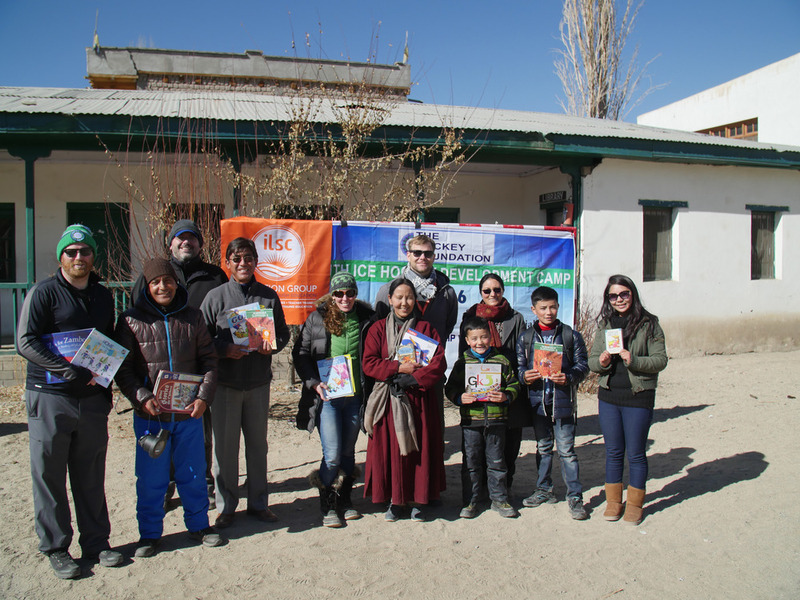 Being a Canadian-based organization, the folks at ILSC love ice hockey, and when they found out about hockey in Ladakh, they ran an equipment collection drive to donate to players in Ladakh. Through sustained coaching development programs, THF has donated over 6,000 pieces of hockey equipment to local clubs and associations around India to date to ensure as many players as possible have access to the game. A significant portion of this gear was collected by ILSC campuses across North America and turned over to our team to ensure the gear gets into the hands of those that need it most. Earlier in 2015, I had a call with Jason (now based in Melbourne, Australia) and Nadine, from the ILSC campus in San Francisco, USA. 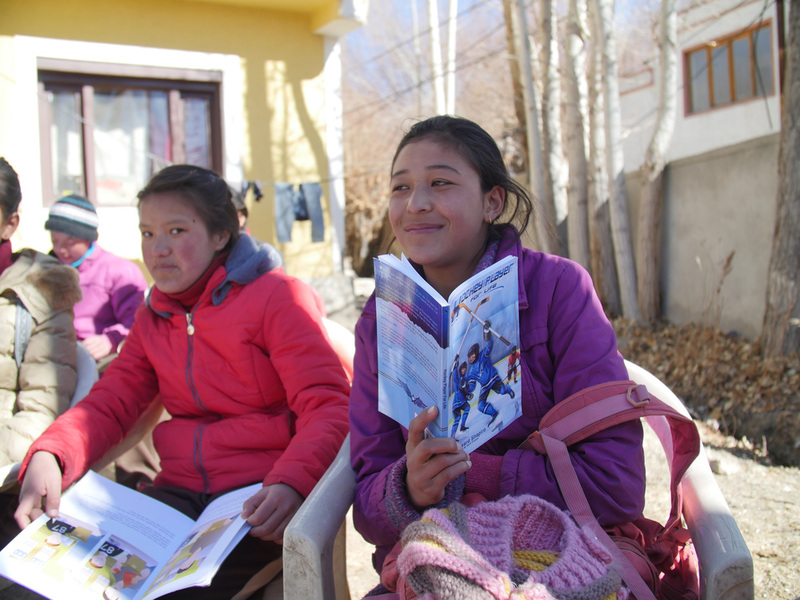 They wanted to refocus their efforts on providing books and educational materials to schools in Ladakh, building upon a wonderful book donation we made to SECMOL during our 2015 season, and requested that The Hockey Foundation help in ensuring books can make it to at least three schools around the region. ILSC did a fantastic job of collecting and shipping hundreds of children’s books, many to help develop English language skills, and we combined this donation with dozens of children’s hockey books that The Hockey Foundation purchased for donation, as we have over the past several years. Of course we returned to SECMOL (Students’ Educational and Cultural Movement of Ladakh), the place that drew me to coach ice hockey in India in 2009, and a place The Hockey Foundation has supported annually. Jason, Nadine, and Mark from the ILSC New Delhi campus, went with Richard Loat (founder of THF partner Five Hole for Food) to the beautiful school overlooking the Indus River to provide a donation to their ever-expanding library. 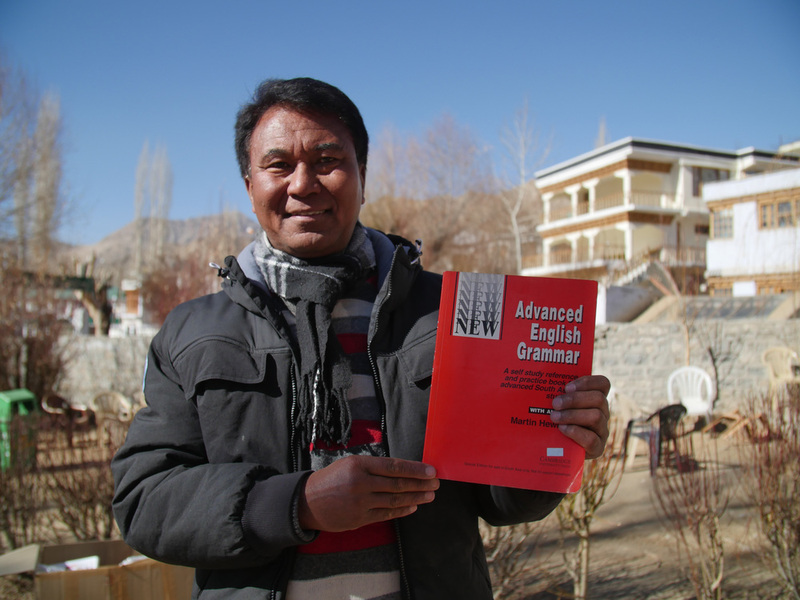 SECMOL was founded to help students pass their grade 10 exams, as the pass-rate in Ladakh is well below the national average. It’s open to students of all backgrounds & religions (although it’s predominantly Buddhist) and also a wonderful place for students to interact with visitors from around the world and develop an everlasting bond with people from dramatically different parts of the world. This is how international understanding and cooperation starts, with simple conversation. The ILSC-THF team also donated a selection of books to support the construction of a library at the Thangnak school in the Muslim community of Phyang, a school that has worked hard to receive support from people and organizations, such as Health Inc., and is doing all they can to provide a quality education to their students. 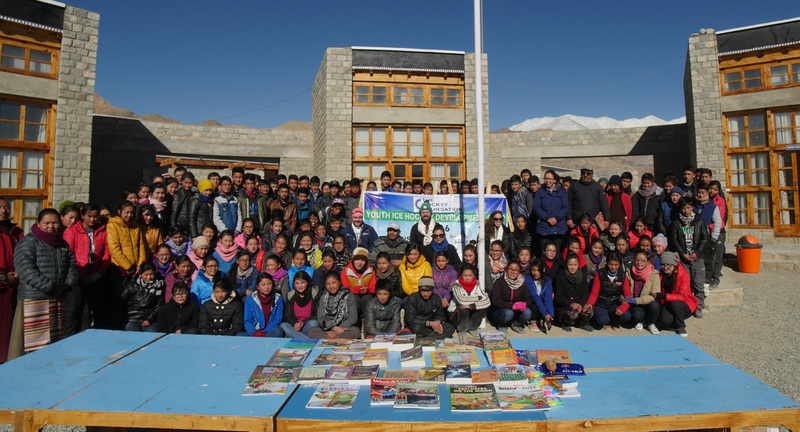 Book donations also went to the Druk Padma Karpo School in Shey, which has received support from THF partner Harney & Sons via their contributions to Live to Love via 1% For the Planet, to the Public All Girls Secondary School, and the Ladakh Public School, both in Leh. This is just the beginning. 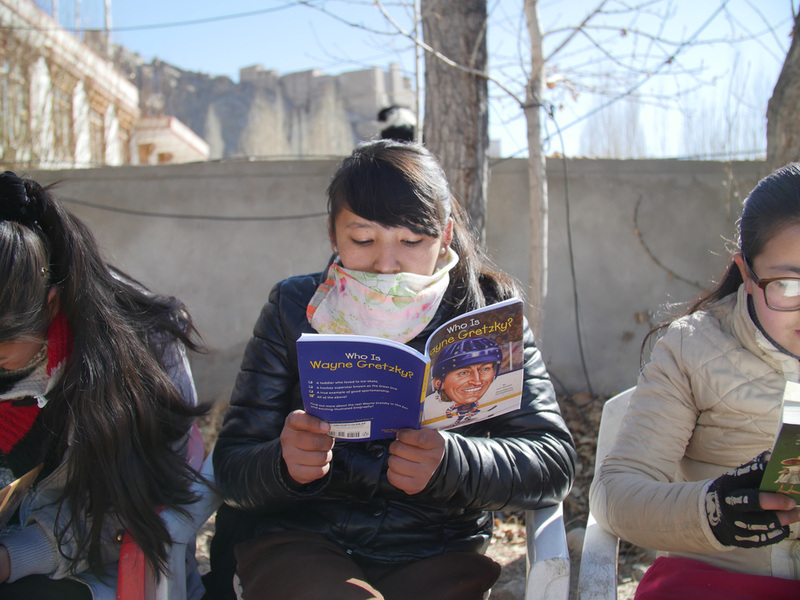 Over the coming years, ILSC & The Hockey Foundation plan to distribute even more books to more schools around Ladakh and India at large, and we are looking for your help! If you’re interested in donating books to our joint cause, feel free to contact us at books@hockeyfoundation.org.